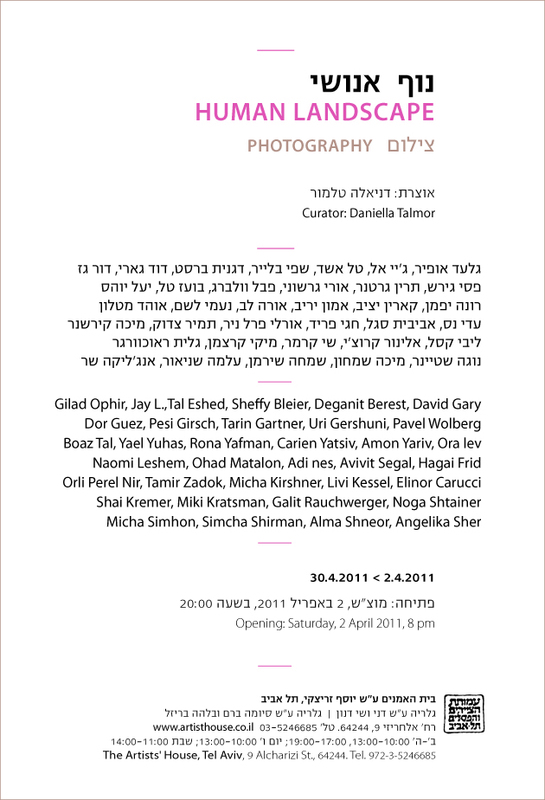 Naomi Leshem’s work “Lizette” will be participating in the group exhibition “Human Landscape” at the artists house Tel- Aviv starting Saturday April 2nd. 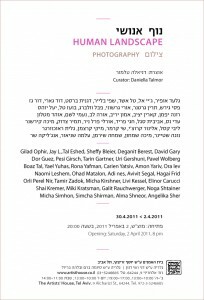 After been exhibited in Germany and in Switzerland, “Lizette” will be shown the first time in Israel. This entry was posted on Friday, April 1st, 2011 at 10:04 am	and is filed under Exhibitions. You can follow any comments to this entry through the RSS 2.0 feed. You can leave a comment, or trackback from your own site.